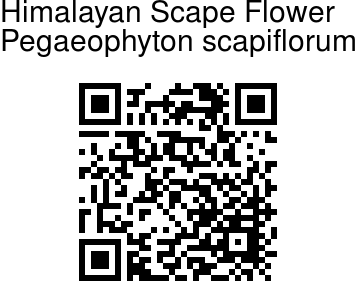 Himalayan Scape Flower is a stemless perennial herb with thick rootstock. Leaves, arranged in a rosette, are linear-elliptic, entire or sparsely toothed, carried on long stalks. 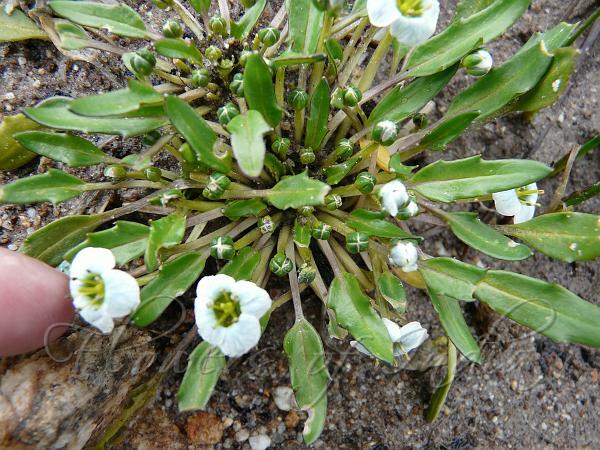 Flowers are 4-7 mm across, white with violet veins, with 4 petals. Flowers are borne singly on short stalks directly from rootstock. Fruit is oblong, hairless. Himalayan Scape Flower is found at altitudes of 4400-4700 m in the Himalayas - Arunachal Pradesh, Jammu and Kashmir, Sikkim, Nepal. Flowering: June-July.